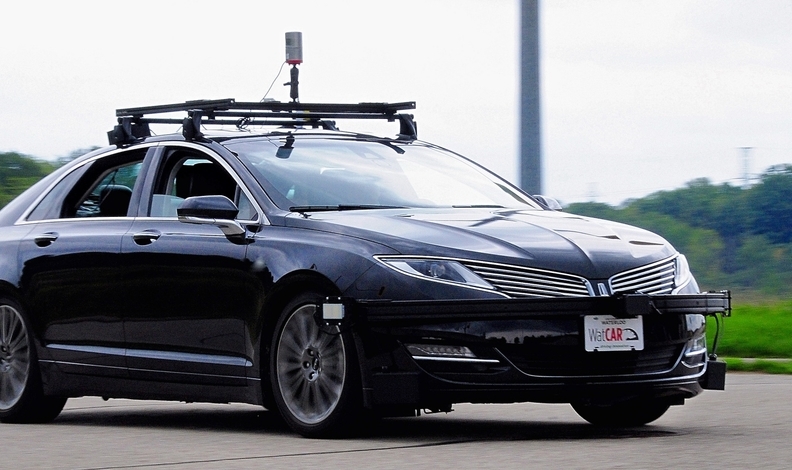 The University of Waterloo is one of nine businesses and organizations testing autonomous vehicles on Ontario roads. TORONTO — Driverless cars owned and operation by the general public are now allowed on Ontario roads — even though automakers don’t yet have any planned for sale in the province. Transportation Minister Jeff Yurek says that, as of Jan. 1,members of the public will be able to drive "Level 3" conditionally automated vehicles, which manage most safety-critical driving functions but the driver must be ready to take control of the vehicle at all times. Level 3 vehicles, as defined by the Society of Automotive Engineering, can detect the environment around them and make informed decisions for themselves such as overtaking slower moving vehicles. The use of those vehicles had previously been restricted to participants in a pilot project. The Progressive Conservative government says it isn't aware of any such vehicles for sale in Canada yet, but once they become available, they will be allowed on Ontario roads. The current version of the Audi A8 is capable of Level 3 autonomy but it’s Traffic Jam Pilot driver-assist technology is not yet available in Canada, an Audi Canada spokesman told Automotive News Canada. Audi Canada didn’t comment further on the new rules in Ontario. In the United States, the A8 can be sold with the technology but it cannot be turned on and used. In 2020, the Mercedes-Benz S class is also to include Level 3 autonomy. Yurek also said participants in Ontario's automated vehicle pilot program can test driverless cars on public roadways, under strict conditions. Those conditions include having either a passenger in the vehicle or a remote operator monitoring the vehicle. The pilot program participants can also now test “platooning” technology, which is when vehicles — particularly commercial ones — with smart technology communicate with and closely follow one another. It could save fuel, reduce greenhouse gas emissions and improve road safety, the government said. Greg Layson contributed to this report.